These babies are so loved! I’m honoured to have captured these maternity portraits for Brittany and Bill who are expecting TWINS in December after 4 years of IVF. We had so many laughs during their session. Brittany you are GLOWING. Such a beauty – Bill you’re a lucky guy!! These two are going to be amazing parents! So much love for each other! Best of luck Brittany! I can’t wait to see these two little ones! My beautiful friend is due with baby number two! Tara and Derek were a bride and groom of mine back in 2012. Since then we have become close friends and I’ve photographed TWO maternity sessions, Alexis’ newborn and first year of life, various Springs, Halloweens and Christmas’ and I’m to say that I will be there to capture the birth of this little one with my first ever birth session – wish us BOTH luck! I’m so happy with how Tara’s portraits came out. Thanks to the ladies who did her hair and make-up, you girls did an amazing job! So in love with this growing family. Lex NAILED the session you’d never be able to tell that it was 3 degrees outside and they were all freezing! Tight squeeze! These two are high school sweethearts and pretty much the cutest. Dad snuck in a quick kiss while I was posing them, I love Tara’s reaction. 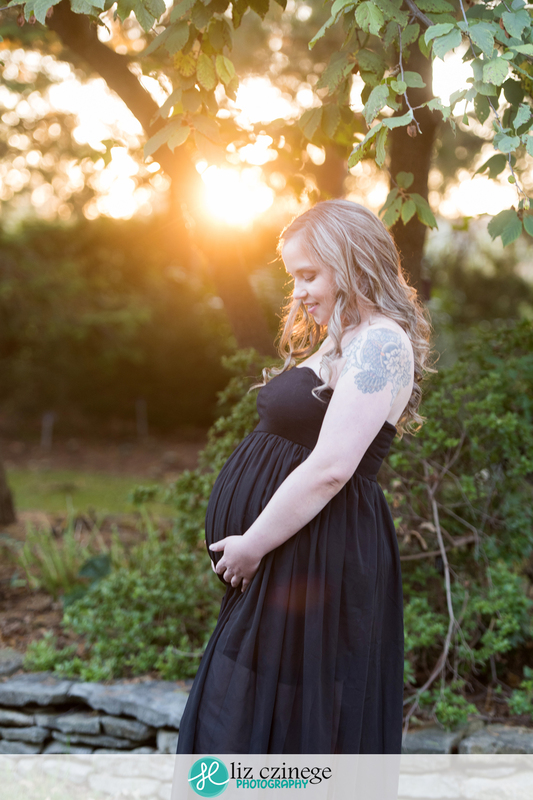 Sheena was gifted Maternity and Newborn portraits, she is one luck lady! She was a little nervous about her portraits, but she totally rocked her session. After some TLC from Hair by Ash and Lashed by Courtney we were on our way to Botanical Gardens. Sheena and Myles were so adorable together, I love when Dads get involved with the session! These two (and a half) plus that setting sun, perfection! Gosh! How adorable are these two, seriously!! I can’t wait to meet their little girl in a few short weeks! 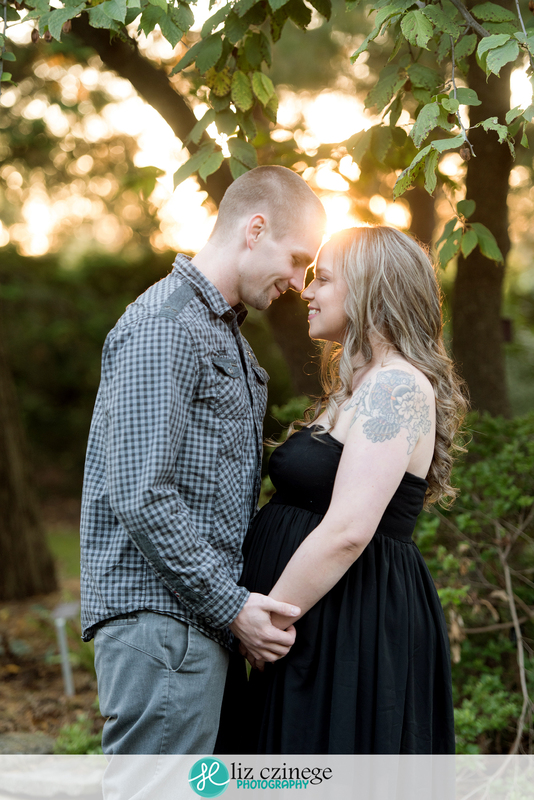 I am over sharing from this maternity session because I am in LOVE with this beautiful family! The weather and the sun was perfect – a little chilly but Emily was a trooper. The sun did an amazing job making these portraits magical. For real, how cute are these two?! I can’t wait to meet their little one! The sweetest little family. Emily has the perfect bump, I can’t get over it. You’d never know she was 33 weeks. Oh hello sun, you’re perfect. In a few short weeks Emily and Jay will get to meet their new addition, good luck! I first met Amy when I arrived at her house to photograph her daughter’s newborn portraits a couple years ago. I love getting “we’re having another baby!” emails and I was so happy when Amy decided to capture maternity portraits this time around. When Amy and I were discussing where to take her maternity portraits, she mentioned a waterfall near her house and I immediately said YES! We didn’t count on the river being almost completely dry because of the drought, but none-the-less the portraits turned out great and Amy was a trooper climbing down into the riverbed. I can’t wait to meet baby number two! This waterfall was the perfect location. During hair and make-up Amy mentioned that hadn’t had her make-up done since her wedding, THAT is probably my favourite part of maternity portraits – spoiling moms. Last October I photographed Danielle and Dan’s Niagara-on-the-Lake wedding. Exactly a year later I had the honour of capturing Danielle’s maternity portraits while they await the birth of their Christmas baby. We did something a little different with her session – splitting the session between traditional outdoor portraits and studio portraits – and Danielle rocked them both! I love this black and white conversion. Isn’t she stunning?! It was a tad bit windy, but it worked perfectly with this dress. I can’t wait to meet their little girl!